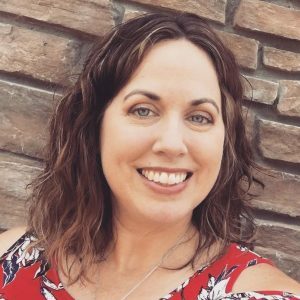 This article was originally published on the WINE: Women In the New Evangelization blog, as a reflection on the readings for the first Sunday of Advent. Since that was just a few days ago, I thought I would share it here, too, as part of the #WorthRevisit series. Seven years ago, I had the beautiful privilege of being pregnant during the Advent season. 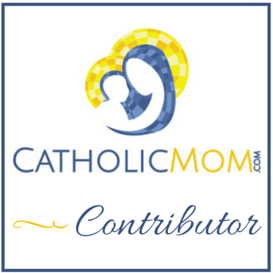 I was anticipating a Christmas baby, so I couldn’t help but think a lot about the Blessed Mother and wonder what her life was like before her Babe was born. I imagined some of the events leading up to Jesus’ birth, such as the Annunciation and Visitation. I wondered what it would be like if Mary visited me, as she visited Elizabeth. I envisioned us talking and laughing, sipping tea, and praying together. Her smile was contagious, and her demeanor exuded peace. I also pictured Mary and Joseph in their intimate home in Nazareth. Joseph was building a cradle, in his spare time, and Mary was going about her usual work: cooking, cleaning, tending the laundry. In the evening, she enjoyed sewing swaddling clothes for her baby boy. And in the quiet of her home, in the depths of her heart, she prayerfully waited and watched for the Messiah to come. Even throughout the day, my thoughts often drifted to her. Mary’s presence kept me company, during my last few weeks of pregnancy, when my body was forcing me to slow down. While I had to simplify my typical Christmas preparations, crossing the nonessentials off my list, I began to think about the preparations Mary made for her Son’s birth. And I realized how drastically different Mary’s activity must have been in comparison with how our culture spends the weeks before Christmas. Unlike the weeks leading up to our modern-day Christmases, Mary’s advent did not include hustle, bustle, hurrying, or worrying. Perhaps she wondered what exactly was going to take place, once her Son was born, but I don’t think Mary fretted about a massively long to-do list. Nor did she arrive at the stable in Bethlehem and wish she had a few more days to prepare. At any moment, her heart was ready to welcome the King, to say yes to God. And it was then that I began to long for an Advent like the one she possibly experienced: quieter, prayerful, intentional. I wanted to wait and watch with Mary. Throughout our readings on this first Sunday of Advent, we receive a very clear invitation to wait and watch for the Lord. To me, waiting and watching involves some type of stillness and silence. I cannot hear the voice of God, and I cannot be attentive to Him, when my days are flooded with noise. I think that’s why I was so observant of Mary, during that Advent seven years ago. I thought the required simplifying and slowing down were impositions on my life, but they actually ended up being gifts. 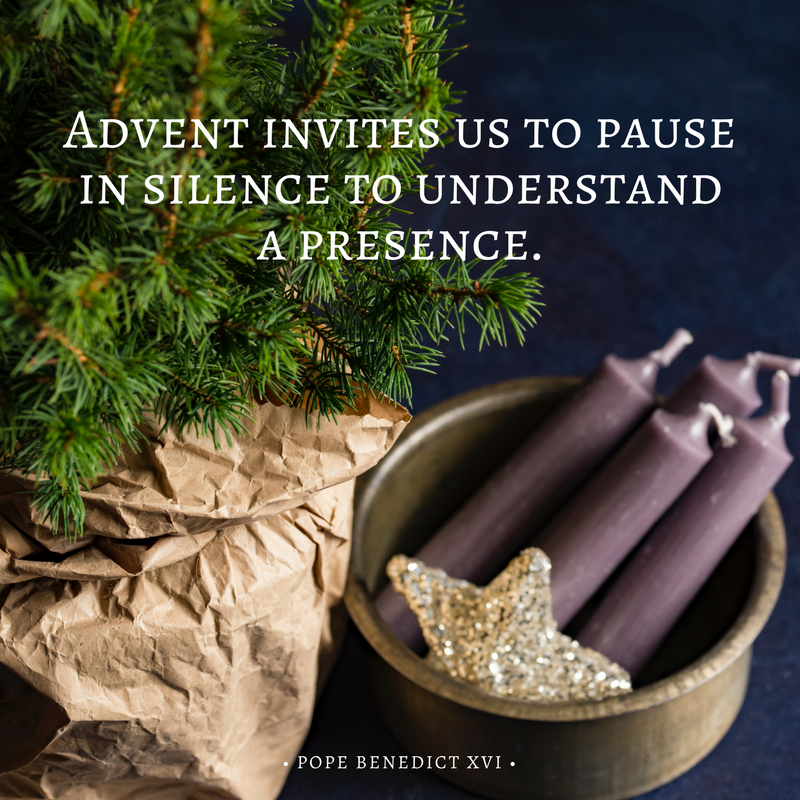 I spent much of that Advent sitting in quiet, and God used that time to ignite my longing for more silence and stillness in my life. In today’s Gospel, Jesus commands us to “Be watchful! Be alert!” But I can’t watch for “the Lord of the house” to come when my gaze is distracted by the endless activity with which I easily busy myself. The Gospel reminds us that we do not know when He is coming, so we must be ready at any moment to welcome the King, to say yes to God, like Mary did. While Mary waited and watched for Christ to come, she remained faithful to the work God placed in front of her. God wants us to be faithful to the work He gives us, too—including the baking, shopping, and decorating! Our work is meant to be joyful! It is meant to be part of the Creator’s work, as St. John Paul II writes in Laborem exercens. We are reminded in today’s readings that each of us has our own work to do and that He gives us the spiritual gifts necessary to do that work, while we wait for Him. When we work from a place of prayer and recollection, we tap into those spiritual gifts and graces, and feel less frantic and hurried about what we need to accomplish. As we light the first candle on our Advent wreath, let’s turn to our Blessed Mother and ask her to show us how to wait and watch for the Lord. Let us begin from a place of prayer, so that the hustle and bustle can slow way down and our hearts can truly be prepared to welcome the King on Christmas.